Donegal Volunteer Centre has developed a wide ranging programme for National Volunteering Week the 14th-20th May. The DVC will deliver the events in conjunction with a diverse group of partners ranging from Community Shops to Letterkenny CDP and Letterkenny General Hospital. The week will include a range of talks on the development and celebration of volunteers across the County. The talks will be hosted by Pobal Le Cheile in Falcarragh, North Donegal Community Network in Milford, Rosses CDP in Dungloe and Serenity House in Moville. DVC will be partnering with, La Maison, of Canal Road in Letterkenny who will be working with Community / Charity Shops to develop their displays and increase their sales. Patrick Sweeney Chairperson of DVC put out a call for Community / Charity Shops to come forward and get involved in this initiative. Mr Sweeney said “Community Shops are currently providing much needed support at a local level and are very capable of generating large sums of money for reinvestment in the community”. As part of this initiative the DVC will be contacting all the shops we are aware of but are asking the shops who do not receive a letter to call the office in Letterkenny and we will add you to the guest list. John Curran, manager of DVC said “The numbers of these shops are growing all the time with new ones opening weekly and as such we cannot keep track of them all, but we are interested in supporting groups do vital work within their communities and to support the volunteers who are giving their time”. The session for the Charity shops is on Tuesday the 15th May at 2pm in the DVC offices in Letterkenny, this session will also include a discussion on what the DVC can do to support these shops in the longer-term. Letterkenny will be given a spring clean by Volunteers from Letterkenny CDP & Cara House who will be on the Main Street on Tuesday the 15th from 11am to get involved contact Letterkenny CDP on 074 91 20633. DVC are also developing a partnership with Letterkenny General Hospital and will be piloting a new children’s ward service during the week. Dr Caoimhin Mac Aoidh the CEO of Donegal Local Development Company Ltd who are the parent organisation of the DVC commented that this is an exciting departure for the DVC in getting our Volunteers to assist with the removing some of the nervousness children sometimes feel when in hospital. The DVC will be attending an out patients clinic with a magician, a storyteller and some Disney characters may also make an appearance. It is also anticipated that the Friends of Letterkenny Hospital, the Donegal Volunteer Centre & the management of Letterkenny General Hospital will be making a significant announcement about a new partnership on the Wednesday of National Volunteering Week. John Curran added “This is an exciting week for volunteering in Donegal with the first National Volunteering week having such a demanding schedule we are seeing clear evidence that people are interested in giving back to their communities and supporting each other while getting a chance to meet new people and learn new skills”. 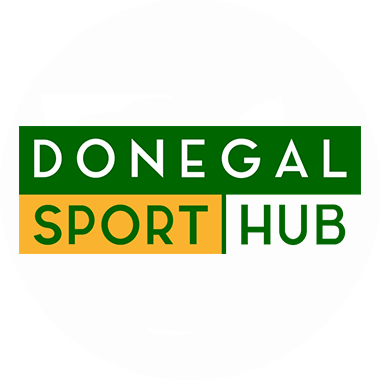 DVC will continue its outreach programme during the week with visits to Libraries in Moville & Bundoran in conjunction with Donegal County Council. DVC will also be piloting a new outreach service in hosted by the Letterkenny Credit Union on Thursday the 17th from 1130-130.